The City of Johnston continues to move forward on the Johnston Town Center project, with the City Council extending the deadline for responses to the Johnston Town Center RFQ to 1 PM on Friday, June 15th. This extension is partially related to action in the Iowa legislature regarding the authority of cities to develop projects using a lease purchase financing mechanism. Legislation awaiting the Governor’s signature would clarify the authority to use this method for projects such as the Town Center. 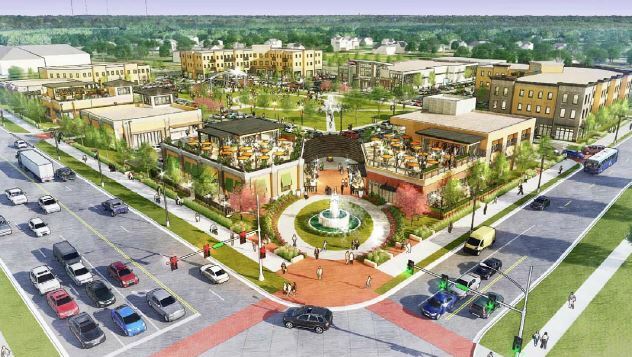 If enacted, the City of Johnston’s Town Center project and the proposed Lease-Purchase arrangement for a City Hall could proceed. The City may also simply wished to provide developers with more time to respond. Developers are encouraged to take advantage of the extension for preparing a response to the RFQ. As the City prepares to review proposals from developers, the process of acquiring property and preparing the property for development is proceeding. The acquisition of several new pieces of property is currently in progress. 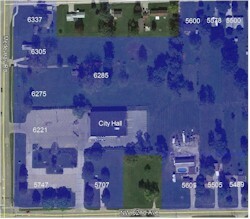 The sites are expected to be added to list of aggregated properties in the Town Center area, including. This includes properties at 5505 NW 62nd Avenue,5600 NW 63rd Place and 5605 NW 62nd Avenue. As illustrated above, this “super block” will soon be ready for redevelopment. With the lease-purchase financing model the developer’s financial commitment for construction of a new City Hall would conclude upon satisfactory completion of the building. The developer would not be required to retain ownership. The City of Johnston will move the project along one step further as they are expected be engaged in the demolition of several properties. With these actions, developers can see tangible evidence that the City is ready for the next steps. Stay tuned for continued updates on the Town Center project.